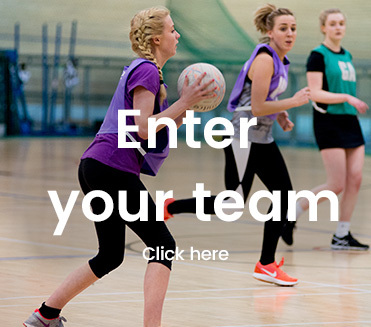 Play Simple Netball run recreational netball leagues across the North West, perfect for individuals, groups of friends or work mates looking for a fun way to get fit and meet people. Prizes for league winners including medals, cupcakes and wine! 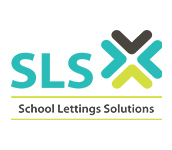 We provide all the equipment for you! So whether you haven’t played in a while and want to get back into it, or you’re an individual player or team who are ready to get started, click here to find out more. I’ve been playing for my team for over two years now. I hadn’t played for over 10 years since leaving school but saw an ad on Facebook and thought why not. I attended one of the training sessions and after a couple of sessions I was put into a new team with other girls who were a similar standard. I soon got back into playing and really enjoy it. I’ve made new friends and find it a lot more enjoyable than the gym, you don’t really feel like your exercising! I find the league is very well organised. I would highly recommend Simple Netball! 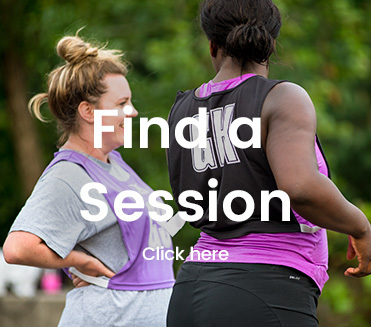 Simple Netball is a great way to exercise whilst making new friends and learning new skills! I played netball during school/college but stopped playing once I went to university. I always said I wanted to get back into it but was a little nervous about re-joining. 10 years later I decided to join Simple Netball and absolutely love it! Each team has different levels of ability and it’s competitive but everyone has a laugh with it. I’d take playing a game of netball over a jog after work any day! I started playing with a team from work about a year and a half ago. I hadn’t played since school so I was a bit nervous but I’ve really enjoyed it. It’s a fun and sociable way to get some exercise. I’m 43 and my team is a mix of older and younger players who are mostly doing this for fun but there’s a range of leagues and venues to suit every team. Nothing compares to the satisfaction you’ll feel when your team wins their first point! Our first season playing for a league with Simple Netball has been great. The Beginners league is ideal for us and all the teams within it are suited to this league so we haven't felt out of our depth. 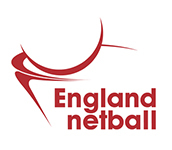 Simple Netball have been able to meet all of our preferred playing times which has been very helpful. Each week we have always had 2 umpires who do a great job. Overall we have throughly enjoyed our first season and are looking forward to the next! Thank you Carly and Jo. I moved to Manchester for work not really knowing anyone. I quickly found a team looking for a permanent player and have been with the Sharks ever since! A couple of these guys have gone on to be the best or friends... one of whom I lived with for 18 months and is my bridesmaid next year!! It's one of the friendliest leagues I've played in by far too. I couldn't recommend Simple Netball more highly. So glad I found Simple Netball. I love how the league has such a mix of players and abilities, it is fun and challenging whilst not requiring the time commitment of a club. I now play for two Simple teams and regularly play extra games as a ringer, I can't get enough of it! I've met some great people and had a lot of good laughs both on and off the pitch. I've even found my new calling as a WA, which after years of being stuck as GK, was quite a surprise! Before joining the Simple Netball league in my local area I hadn’t played Netball since school, which is a decade ago! Keeping fit was also a struggle as I had no motivation and was often bored on my own. I heard about Simple Netball through Facebook and went along for a taster training session ... since then I’ve played regularly with the same team, met some great people. 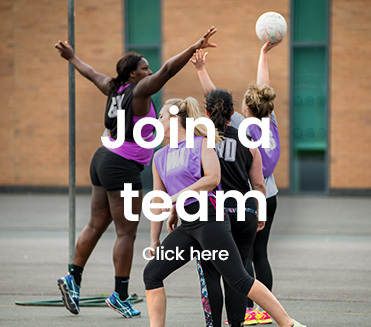 I can highly recommend Simple Netball for anybody looking to get back into playing Netball or even just looking to have some fun doing a team sport. I left my netball club when I was no longer being picked to play on a regular basis and thought it might be the end of my playing days. I don’t consider myself to be old and I am certainly not quite ready for ‘walking netball’ so I applied to Simple Netball as an ‘individual player’. I have been on my team now since 2011 and Simple Netball is the absolute best, a social game each week, a variety of venues and standards of play, well organised, value for money and definitely great fun for us all. My advice to anyone is give it a go! I joined a recreational netball team almost 2 years ago, and was so nervous as I hadn't played it since school. Now, I play three time times a week and absolutely love it! Not only is netball a great way to exercise and improve your skills, but you get to meet so many lovely players and I've made real friends in my Simple Netball teams. Netball is the highlight of my week - and I'm obsessed with watching the professional leagues too - and has helped me so much both mentally and physically in feeling good about my body and my sporting ability. I have been playing with Simple Netball for over a year and a half now and absolutely love it! Getting back into netball was one of the best things I’ve done as it keeps me fit and provides me with goals to achieve outside of work. It’s also a great way to make new friends. I would recommend getting anyone to join a netball team or do training, and Simple Netball can help you do that. I remember turning up to my first taster session on my own, a bit apprehensive, not really knowing what to expect and having forgotten how to play netball. Fast forward 5 years and netball is a big part of my life. I usually play a couple of times a week, it keeps me fit and is a million times more fun than the gym. I've made so many friends through it too, we have more in common than just netball 🙂 Best thing I ever did! 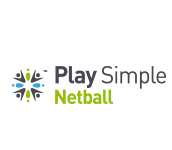 © Simple Netball 2018 All Rights Reserved all 3rd party trademarks acknowledged.